Among those questions: What are some of the specific factors that might ameliorate or exacerbate the effects of dyslexia over a lifetime? What are the specific adult outcomes of early reading difficulties? What do the participants wish they had known about dyslexia early on? The Shaywitzes’ work has shown there is no link between dyslexia and intelligence, and that dyslexia is not something one outgrows, reports Katie Hafner. NEW HAVEN, Conn. — By now, Drs. Sally and Bennett Shaywitz might have retired to a life of grandchild-doting and Mediterranean-cruising. 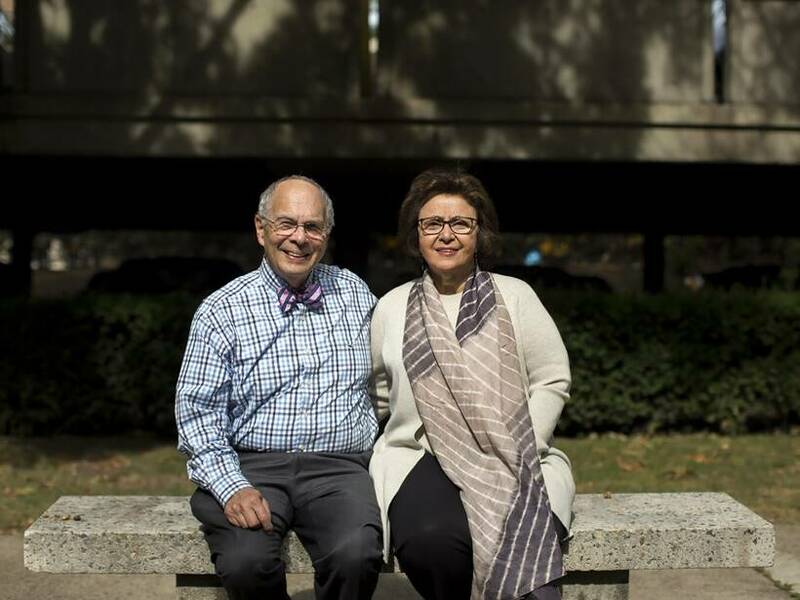 Instead, the Shaywitzes — experts in dyslexia at Yale University who have been married to each other for 55 years — remain as focused as ever on a research endeavor they began 35 years ago. Sally, 76, and Bennett, 79, both academic physicians, run the Yale Center for Dyslexia and Creativity. Their goal is not just to widen understanding of the scientific underpinnings of dyslexia, the most common learning disorder in the United States, but to push for public policies aligned with that knowledge. For years, dyslexia was largely misunderstood as a reading problem that caused children to reverse letters, and often was seen as a sign of laziness, stupidity or bad vision. The Shaywitzes’ work has shown there is no link between dyslexia and intelligence, and that dyslexia is not something one outgrows. Their research has found that it affects 1 in 5 people, yet even now many never receive a formal diagnosis. “There is an epidemic of reading failure that we have the scientific evidence to treat effectively, and yet we are not acknowledging it,” Sally said. Working from unprepossessing offices on the Yale School of Medicine campus, the Shaywitzes are updating one of their signal achievements, a study they started in 1983 following 445 5-year-olds in Connecticut. It was the first study to examine reading continually from childhood through adulthood. The Connecticut Longitudinal Study has not only established the prevalence of dyslexia, but also has demonstrated that it affects boys and girls in about equal numbers. The couple recently began a new phase of the study, administering reading tests to 375 of the participants, who are now in their 40s. They have no planned completion date. “We will continue until we no longer have questions and hypotheses that our CLS population can help to address,” Sally said. They plan to invite a subset of the participants back for brain imaging to investigate, among other things, whether there has been a change in the neural signature of dyslexia — an anomaly in the brain that shows up in imaging — now that the participants are mature adults. It is a follow-up to work they did in the early 1990s, when Bennett, who trained as a pediatric neurologist, suggested they scan the brains of 100 of the study’s participants. They were among the first researchers to describe a neural signature for dyslexia, which is characterized by inefficient functioning of neural systems for skilled, fluent reading. “Perhaps the most important contribution of brain imaging to dyslexia is that it made visible this previously hidden disability,” said Bennett, who was chief of pediatric neurology at Yale for 40 years. Beyond the lab, the Shaywitzes have developed a celebrity following unusual for scientists. A conference they put on in 2015, titled “Dyslexia: Slow Reader, Fast Thinker,” attracted attorney David Boies; Hollywood agent Ari Emanuel; and Dr. Toby Cosgrove, former chief executive of the Cleveland Clinic. Anderson Cooper, a journalist who struggled with a mild form of dyslexia as a child, met the Shaywitzes this year at an event in New York celebrating their achievements. The couple’s warmth is legendary. On a crisp New England morning, they greeted me more as doting grandparents than world-class scientists. Was I cold, they asked? Before I could answer, Bennett offered me a white lab coat hanging behind a door. As soon as I sat down, Sally slid a plate of cookies under my nose. “You don’t have to eat a whole one,” she said when I demurred. Then came a bowl of fruit. “You can just pick at it,” she said. The Shaywitzes have spent much of the past decade augmenting their research with concerted efforts to change policy. Bennett, a soft-spoken man whose professional attire almost always includes a bow tie, prefers to remain in the background, letting Sally be the public face for both of them. She has testified dozens of times before state and federal legislators in a continuing effort to see laws passed that require schools to recognize dyslexia as early as first grade. John Gabrieli, a neuroscientist at Massachusetts Institute of Technology’s McGovern Institute for Brain Research, agreed. Skye Lucas, 19, was in first grade and struggling when her mother read Sally’s book, “Overcoming Dyslexia” (now in its 22nd printing), and got in touch with them. Sally took Skye under her wing, explaining to the girl’s parents that their daughter could be both intelligent and dyslexic. Sally became a supportive constant in Lucas’ life, checking in regularly with phone calls and emails. The Shaywitzes met in 1963, at Albert Einstein College of Medicine, where Bennett was a pediatrics intern and Sally a medical student. They married two months later. Sally trained in developmental pediatrics, and began her career as a clinician working with children who had been referred to her for potential learning disabilities. “I was just struck because the kids were adorable and intelligent, but they were struggling to read and their parents were terrified,” she recalled. She evolved from clinician to physician-scientist, driven by the need for more knowledge. She read as much as she could about dyslexia and found that although plenty of studies had been done, there were no population-based studies. “We didn’t really know things like prevalence or gender distribution,” she said. Thus began CLS. The couple said there is so much more they need to understand that retirement seems a distant concept. Sally scoffed at the very notion. “What a joke,” she said.